I’m taking a break from my holiday preparation series to write to you about apples because we are at the end of the apple season, and if you GO RIGHT NOW, you may be able to get some great orchard apples. I know I did just a few days ago. Here’s the thing about apples: If you have great apples, anything you do with them will be great. If you have mediocre apples, anything you do with them will be mediocre. The sad truth is that if you bake a great apple crisp with mediocre apples, your desert will be so-so at best. 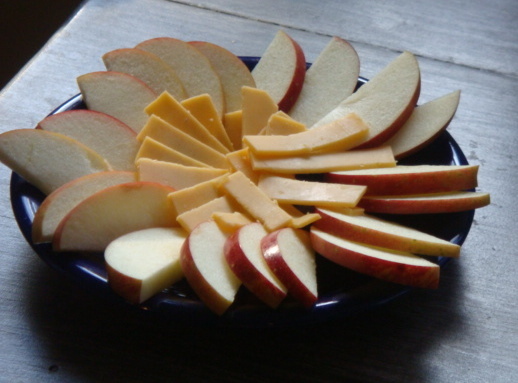 However, you can just cut up a couple apples, squeeze some lime juice over them and serve them with slices of cheese, and if you have great apples, you will have a stunning and delicious desert. 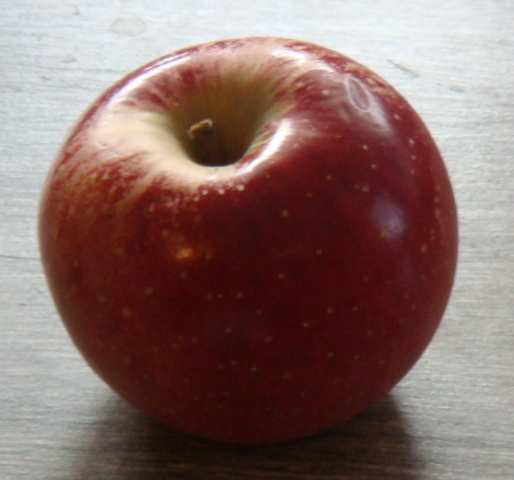 In my experience, great apples are not to be found in supermarkets; I find them at fruit farms and orchards. The variety I bought this year is “Melrose,” but the variety that will work best for you is entirely dependent on the region you live in, the time of year you are going to the orchard and what you plan to do with the apples. Talk to the clerk in the orchard store. He or she will make a great recommendation. I’ve found that even listless teenagers working in orchard stores know apples. There is something magical about great apples! If you are going to be peeling your apples to bake them, you will want to buy big apples. That way, you will get the best fruit-to-peeling effort ratio. If you are going to be packing your apples in your lunch, you’ll want a smaller size. Stored in a cool place, apples will taste fresh for weeks. 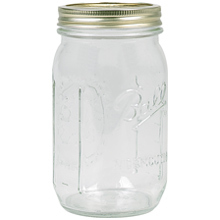 If you will be using your apples for baking or applesauce, they will last longer. 1. 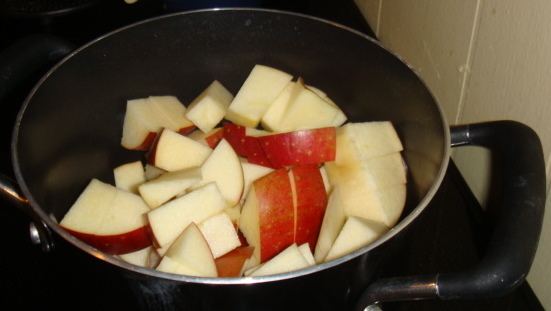 Cut up five huge apples and put the pieces in a pot. 2. Add ½ cup water, 1/3 cup sugar, 1 teaspoon cinnamon and a pinch of salt to the pot. 3. Simmer the pot (covered) on medium low heat for 30 minutes. 4. Turn the heat off and mash everything together. 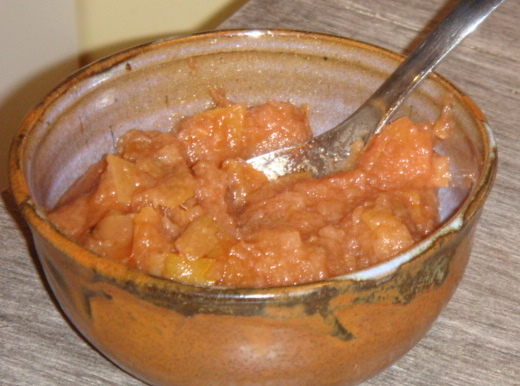 Cooking homemade applesauce makes your home smell great too. I always give baked goods as gifts. 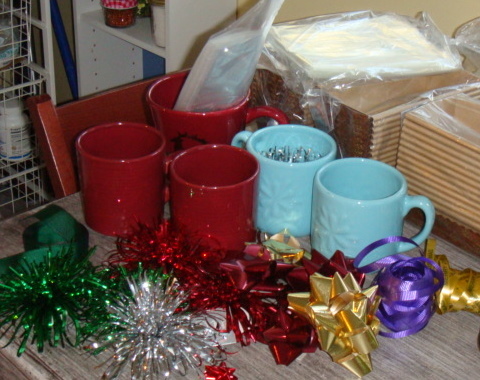 The hardest (and usually most expensive) part of giving away baking goods is packaging them. You can come up with something more festive than baggies. Suppose you know that you are going to give away cookies. Start thinking now about how you are going to present those precious treasures. You need containers that are big enough to hold at least one dozen cookies, but not so big that you have to bake a double batch for each gift. Containers will probably be cheaper if you stay away from holiday merchandise. To wit: one year I was at the hardware store and ammunition boxes were on sale for some crazy-low price, like 50 cents each. I bought ten of them and fake pebble spray-paint, laid them out on my garage floor, painted them, then filled each with bags of cookies. I hope that these ammunition boxes were useful to my friends and family after the cookies are eaten—for storing sand paper, for example. You will find small gift bags in the candy-making section of a craft store. I must warn you though that going into a craft store is risky business—financially, at least. These stores have so many adorable gift containers that you may forget that one of the reasons you are giving away baked goods is to save money on holiday gifts and spend way more than you ever thought you would on containers. Another tip for buying containers is to shop for them all year around. 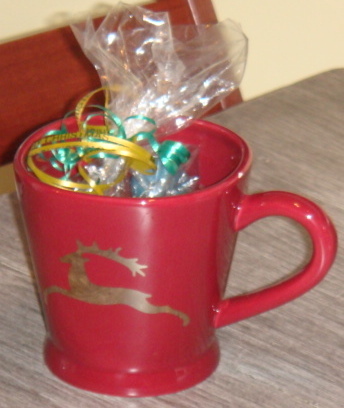 I often find great plain red, silver and gold containers on sale right after Valentine’s Day. Finally, you will need is ribbon. I find that if I combine a red or green ribbon with a gold or silver ribbon, I can tie a simple bow and the result is quite elegant. If you are trying to save money, buy your ribbon at the craft store and don’t tempt yourself to do more spending in the fabric store. 3. Put one little bag in each coffee mug. I make a dozen of these early in December and keep a paper grocery bag of them in the back seat of my car, so I always have little gifts ready for people who help me all the time, like the clerk at the post office. Another category of baked goods to give away are those that need to be baked in pans. A great discovery I made last year was the Paper Gift Bakers from The Baker’s Catalogue. 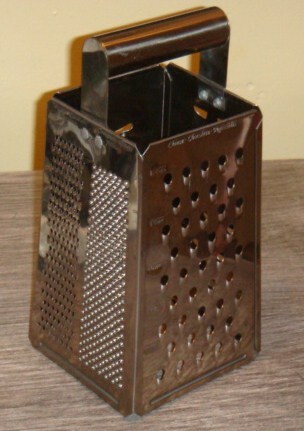 These, combined with the medium size Clear Gift Bags that they sell also, have made my gift-giving-life a lot easier. I bake my gift cakes right in the pan. Once frosted, I pop them in the gift bags. I secure the bags with a silver twist tie, then stick a bow on top of the package. Voila! A beautiful gift! 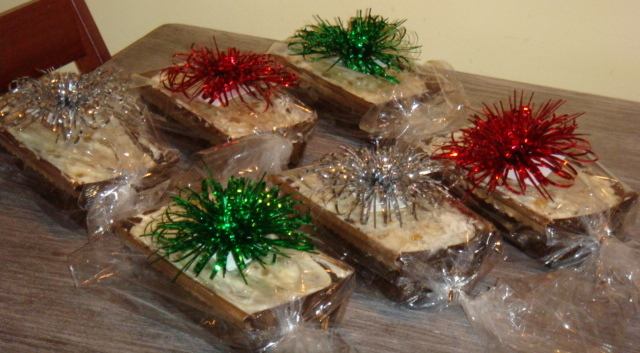 I make six gift cakes at a time and store them in the freezer once they are completely wrapped. One of the tricks to baking with disposable pans is to place all the pans on a pre-heated cookie sheet before you bake them. That way, there is only one thing to put into the hot oven and one thing to take to the porch to cool. Usually, I don’t start baking for the holidays until mid-November (although this year I did some early to get photographs for you). October is really best spent starting to accumulate packaging materials. In early November I’ll give you the recipes for foods that I like best for giving as gifts. I can’t take credit for the terrific title of this new “Domestic Goddess” column. Rosanne Barr originally used the term in one of her comedy routines, but I first heard it when Nigella Lawson, cooking celebrity and cookbook author extraordinaire, named one of her baking cookbooks, How to be a Domestic Goddess. 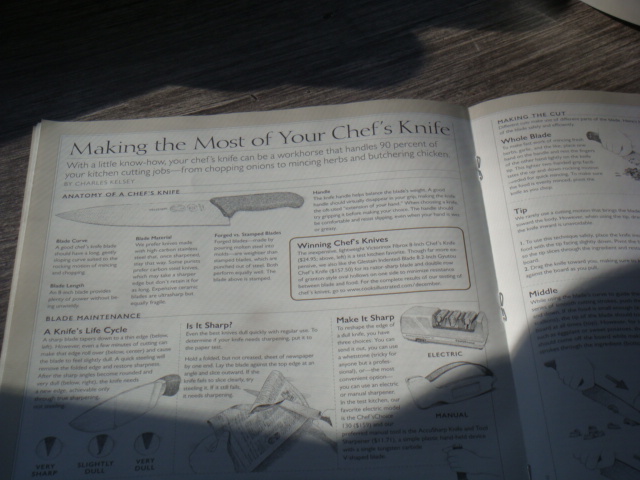 When I saw that title, I had to have that book, regardless of whether or not any of the recipes were any good. As it turns out, many of the recipes are quite scrumptious, but the secret to being a domestic goddess, as Nigella obviously knows, and as the exquisite photographs in the cookbook illustrate, is to make everything look easy and fabulous. There are tricks to making everything look easy and fabulous, and I intend to use this column to share tricks that I know with you. Not just baking, but lots of things around the house. 1. Use your oven timer, so you NEVER burn baked goods. 3. Don’t take baked goods that need a fork to an event where people will be moving around while they are eating. It is sooooo discouraging to watch your homemade key lime pie go uneaten! 4. Unless you love to do it, and you are good at it, avoid complex decorations. A spice cake dusted with powdered sugar (which is easy), looks far more elegant than a sloppily frosted cake. 5. Write in your cookbooks. 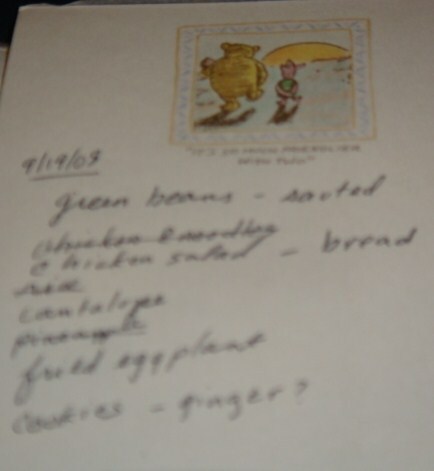 When a recipe works, write it right on that page. When something goes wrong, write it down. 6. Stick with the tried and true. Whenever you find a recipe that works for you and other people love it, make it over and over again. If you must bake something for the first time, packages are the best source of recipes. 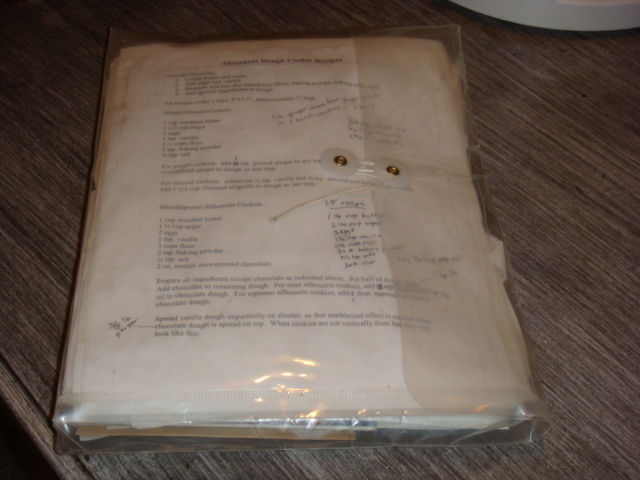 The brownie recipe that I used for over twenty years was from the back of the Baker’s Chocolate box. My oatmeal cookie recipe is from the lid of Quaker Oats. I just found a fabulous cake recipe on the back of a raisin box. These recipes have been tested and tested and tested. Last spring I broke my ankle, and I needed a friend to come to my house everyday and take care of everyday things like making my meals, doing my dishes and sweeping my kitchen. (Needless to say, I was quite unhappy with this turn of events. Taking away my ability to take care of my house is severe punishment indeed.) Anyhow, after a few days of taking care of my house, my friend said to me, “Julia, I had no idea you were so domestic.” Now that’s a real domestic goddess compliment! I’ve made brownies over a hundred times in the past thirty years, so you would think that I have mastered them. I have not. Believe it or not, I am still learning things about brownies—I just learned that using a plastic knife is best for cutting. I’m anti-mix in general, but I’m really anti-mix when it comes to brownies. For some reason though, brownie mixes are ubiquitous. For that reason, as a policy, I won’t eat brownies unless I’ve watched them being made. A mix might save you some unwrapping of butter and the clean-up of the pan you use to melt chocolate and, in a really insidious mix, there may be no eggs to crack, but it doesn’t save you from preparing the baking pan or clean-up, which is the true work of making brownies. That said, brownies are trickier than they appear to be. The recipe I like best has only six ingredients. It’s a rookie mistake (which I’ve made many, many times) to think that the fewer ingredients a recipe has, the easier it is. In general, the opposite is true in baking—fewer ingredients means that you have to handle each one precisely. Brownies are almost entirely butter and sugar—and what do butter and sugar make? Caramel! Just like caramel, if you try to cut brownies too soon after baking it makes a big mess, but if you wait too long, the brownies are impossibly hard to cut or remove from the pan. I’ve ruined entire pans of brownies by not cutting them at the right time and having to soak the whole thing in water in order to salvage the pan. A good brownie recipe will tell you, not only exactly how long to cook the brownies but, how long to let them cool before cutting them. 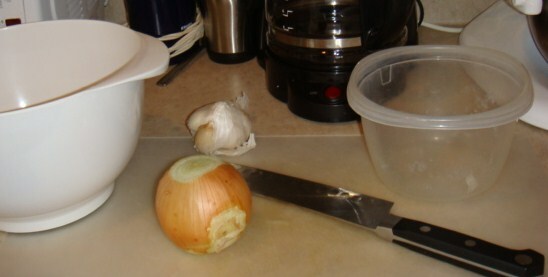 Follow this part of the recipe as closely as you follow the cooking time. Speaking of cooking time, most recipes say this but I’ll repeat it, DON’T OVERBAKE YOUR BROWNIES. If you bake the brownies for the length of time specified in the recipe, they will appear slightly raw when you remove them from the oven. They are supposed to be that way. Whenever you are baking, bring the eggs to room temperature. Room temperature eggs absorb flavor better than cold eggs. If you know you will be baking later, take the eggs you need out of the fridge and let them come to room temperature naturally. If you are in more of a hurry though, put your cold eggs in a bowl and fill the bowl with hot water from the tap. First of all, I use a large shallow pan—a jelly roll pan or a cookie sheet. I like the edge and corner pieces of brownies best, so I figured out a long time ago that I could make all my brownies have that texture if I made them extra-thin. Next, line the pan with parchment paper. I used to just generously butter the pan, but I’ve found parchment paper to be more foolproof. Anchor the parchment paper by buttering the bottom of the pan lightly before you put the paper in. (I keep a Swiss army knife in my utensil drawer for the sole purpose of trimming parchment paper.) Once you have the bottom of the pan lined with parchment paper, butter the paper and the sides of the pan generously. This is not only to keep the brownies from sticking, but to add flavor, so use good butter for this. Put the pan aside, you have now finished the hardest part of brownie making. Bring the eggs to room temperature. Melt butter and chocolate in double boiler, then set aside to cool to room temperature. Beat eggs and sugar together. Fold in flour, mixing only until blended. Bake on the middle shelf of the pre-heated oven for 25 minutes. 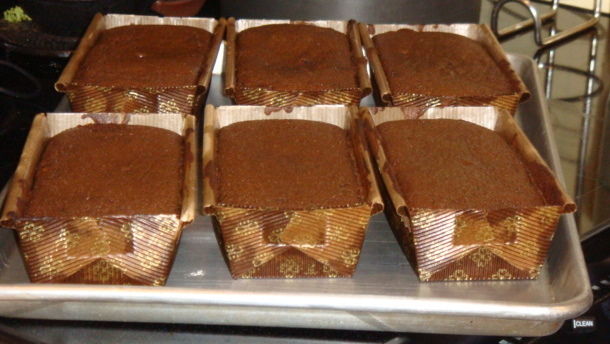 Cut brownies into bars with a plastic knife and transfer to cooling rack. A friend asked me this morning if there is a difference between salted and unsalted butter. There is, but it is fairly subtle. As a rule of thumb, as long as the recipe does not have salt as a separate ingredient, I like to use salted butter. One year for Valentines Day, I made these brownies with pink strawberry frosting. What a hit! (I used a heart cookie cutter instead of a knife for step 12.) There were plenty of brownie scraps left over, which I crumbled up and put on ice cream.